On the outside, it benefits from the same styling tweaks as the regular SUV, meaning up front there’s a new bumper design, a larger grille and C-Shaped LED daytime running lights to name a few. There’s also a redesigned rear end that incorporates a new diffuser and different tailpipe exits. A range of new alloy wheel designs have also been added. 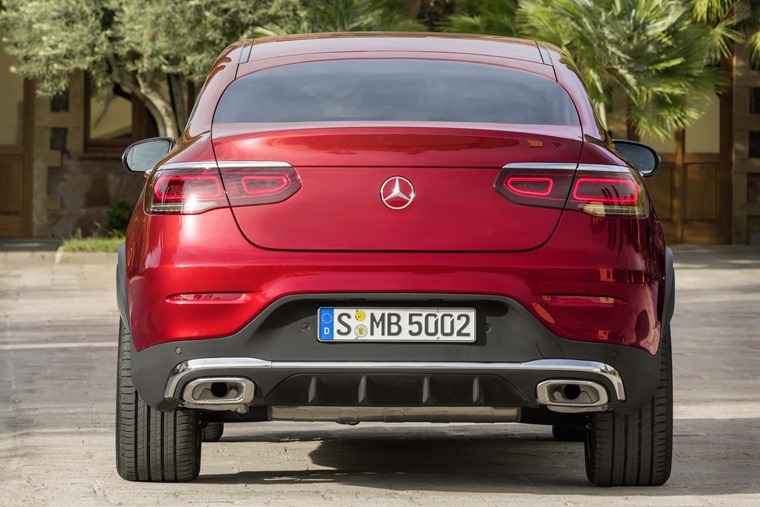 The GLC Coupe is still defined by its distinctive appearance, with a tapering coupe-like rear end that swaps outright practicality for an extra bit of style (depending on your viewpoint). Inside, however, changes are more dramatic. Mercedes’ excellent MBUX infotainment system is now standard – that means a 12.3in digital instrument panel comes standard across the range, while a 7in or 10in (depending on spec) central screen displays the infotainment and climate control info. Like on the latest A-Class, the system allows occupants to interact with it in several ways including voice control, gesture control and a number of touch-sensitive pads in the cockpit. It’s not just improved in the tech stakes either – there’s a much more ergonomic dashboard and centre console, while the intricate air vent design will be familiar to those that have been in any of Mercedes’ latest models. Driver Assist systems have taken a step up too, with Active Brake Assist, Active Steer Assist and a Trailer Manoeuvring Assist all available to make drivers’ lives easier and safer. Options include an air suspension system and a Comfort Control pack, the latter automatically adjusting climate control, mood lighting and seat massaging modes depending on the driver’s mood. Five revised engines will be available from launch in the UK – two mild-hybrid petrols and three turbodiesels. The range kicks off with the 1.5-litre 48V GLC 200. The engine and starter-generator work together to produce a combined output of 192bhp. The GLC 300 gets a larger 2.0-litre engine, but utilises the same hybrid tech, producing 254bhp. Both are capable of 38mpg on a combined cycle. A 1.6-litre and two 2.0-litre options make up the diesel range, with them offering power of 156bhp, 189bhp and 238bhp respectively. 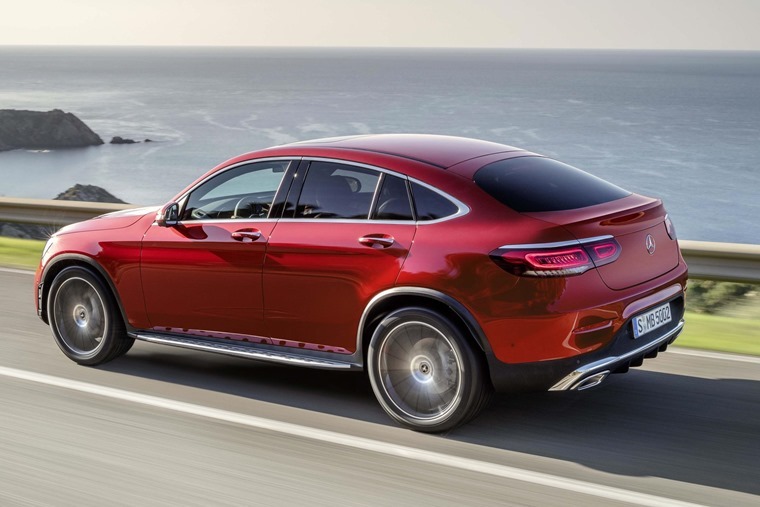 The larger GLC 300, GLC 220d and GLC 300d models feature Mercedes’ 4MATIC all-wheel drive system. No UK price and trim specs have been confirmed, but expect the range to be priced from around £42,000. 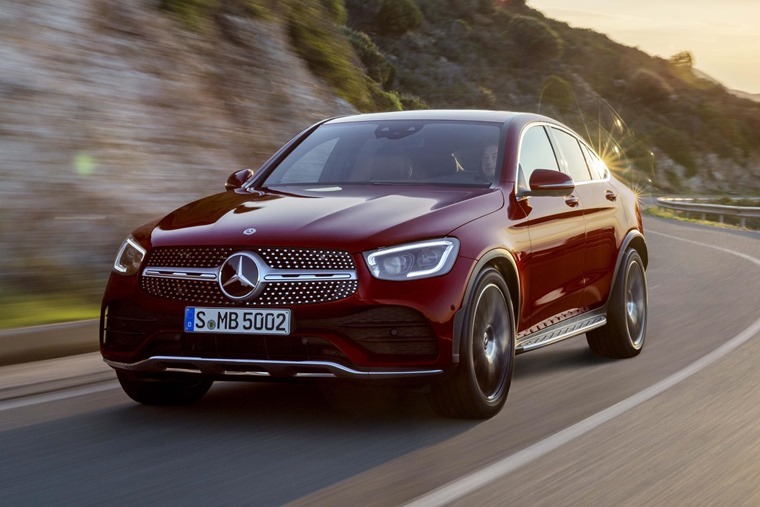 If you can’t wait for the new model, you can find and compare personal lease deals on the outgoing Mercedes GLC Coupe for less than £400 per month here.